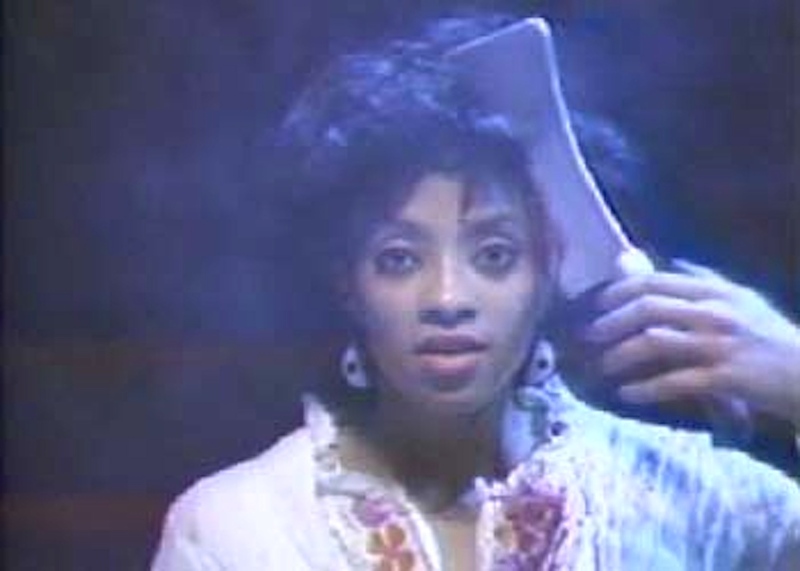 S. Torriano Berry, director of the early “urban horror” film The Embalmer and member of the Black Horror Movie Hall of Fame, had previously written and directed an African-American Twilight Zone of sorts in the mid-’80s, entitled The Black Beyond. 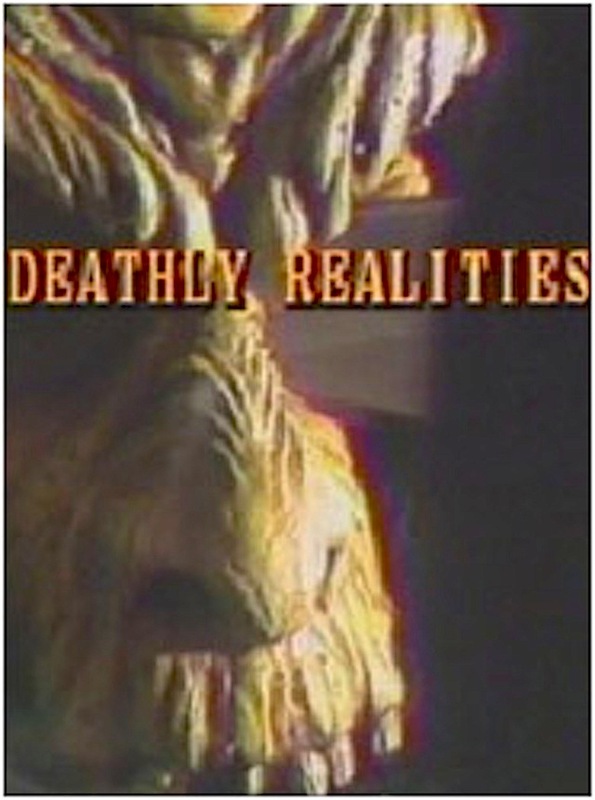 While I don’t think it was seen on TV anywhere outside of Berry’s own living room, the show holds significance as one of the very few examples of all-black horror during the Reagan era. The 15-minute Deathly Realities was one of five shorts shot for The Black Beyond, and if it looks like a student film, that’s because it is. On that plane of judgment, then, it’s not half bad. It opens with a news report about a serial killer terrorizing the city. 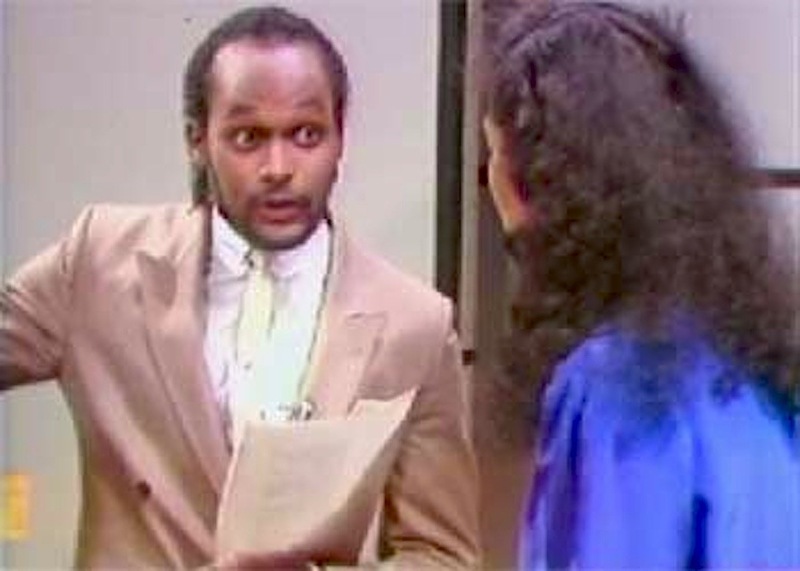 A criminal psychologist (played by Tommy Ford of Martin fame, sporting the elusive Jheri curl mullet) is interviewed on TV and postulates that the crimes seem reminiscent of a Satanic cult that believed that their victims could be brought back from the dead. The interviewer, Melanie, declares not-so-professionally that the cult’s intentions were thus “dumb,” drawing the ire of the TV-watching killer. After her show ends, Melanie deflects the advances of Merle, her co-worker/boyfriend (also not so professional), and heads home. She’s greeted by her cute little puppy and promptly tosses the dog out the front door with a rope tied around its neck as a “leash.” Things are rough in the ‘hood, Snoopy. 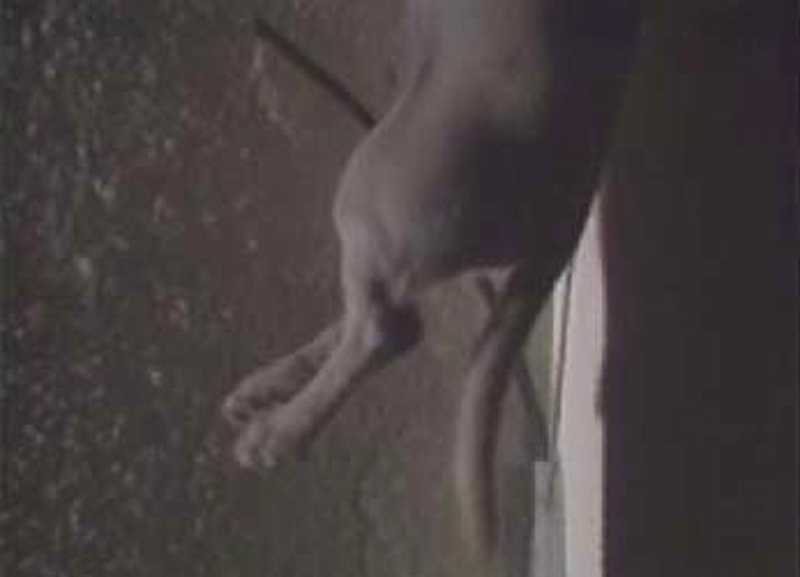 Seemingly hours later, she finally gets around to checking on the pup, only to find it hung on the front porch by its conveniently noose-like leash. Maybe the dog finally took her hint and ended it all. But wait, there’s a killer out there too! 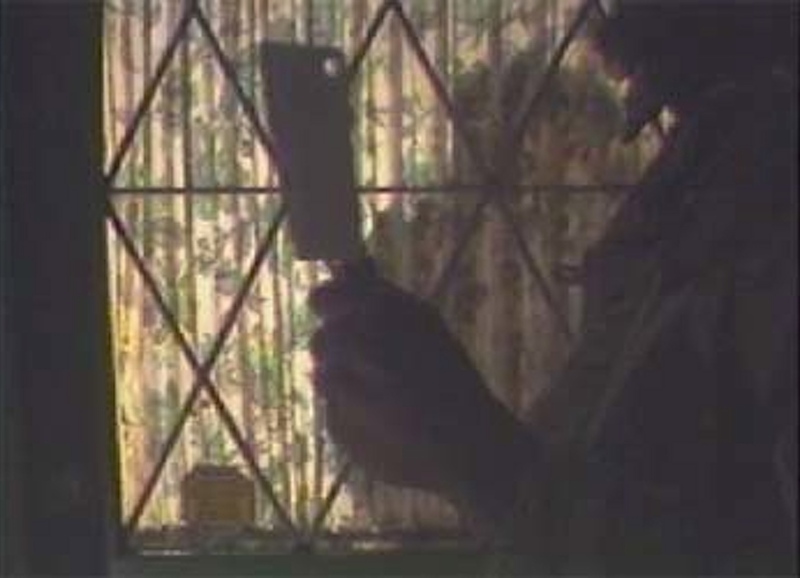 The masked madman bum-rushes through the door, hacking off two of Melanie’s fingers with a meat cleaver. She fights back, tossing hot water and hydrogen peroxide on him (or maybe it’s “blea-yatch,” because that’s what he screams like) before finally shooting him dead. Ashley eventually switched to a hot comb because it caused less death. Skeletor cried himself to sleep whenever He-Man went on a business trip. The Yellow Pages’ marketing campaign really reached the 18-to-49 deviant demographic.